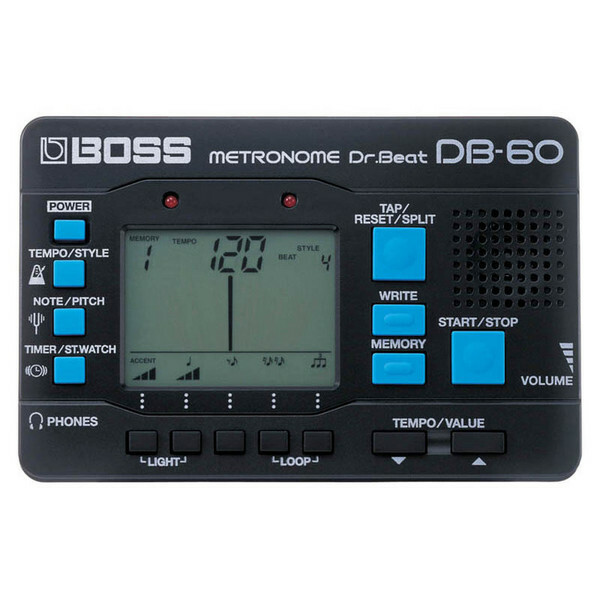 This portable digital metronome is a must for players of all levels.Along with the standard functions of a metronome, the DB-60 comes with a variety of rhythm patterns perfect for practice and performance. For practicing a particular song, it's important to set the metronome to match the feel of the music. The DB-60's Note-Mixing function lets you create new rhythms quick and easy. You can adjust the output level of the first accent note and four different beats, and then combine them to create a new rhythm. For example, you can quickly create a 16th-note feel with varying dynamics, or a polyrhythmic beat with accent variations.